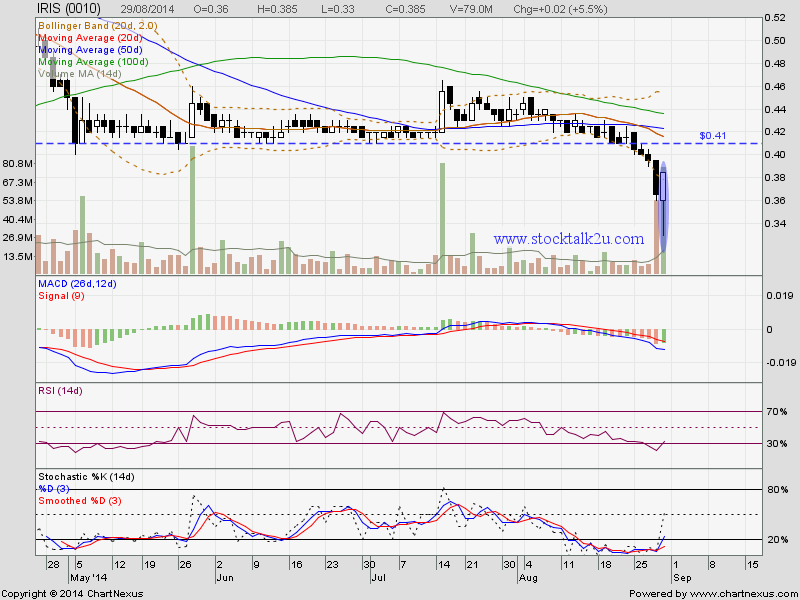 MACD at negative region, downtrend itinerary. Subsequent resistance @ MA20/MA50 level. Immediate support @ RM0.36 level. Subsequent support @ RM0.33 level. Let watch closely for rebound.